Fast rising Cornish psych-rockers HANTERHIR today premiere a new video with Vive Le Rock! The track ‘Hope Comes With Love’ is the third single to be released from their widely acclaimed triple-album The Saving Of Cadan which is out now through Easy Action. 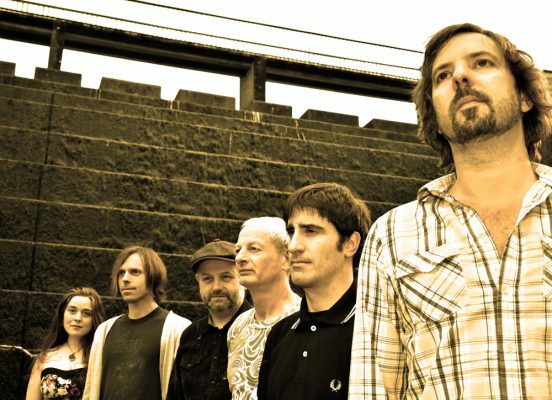 Formed in Redruth in 2007, the band have developed their sound in isolation from the mainstream, drawing on a diverse set of influences including the Psychedelic Furs, Echo & The Bunnymen, Sonic Youth and Hawkwind, whose onetime sax-player Nik Turner has been known to perform with the band on occasion. You can catch Hanterhir on the following dates…. Read a new interview with Hanterhir in our sister magazine Louder Than War out now!